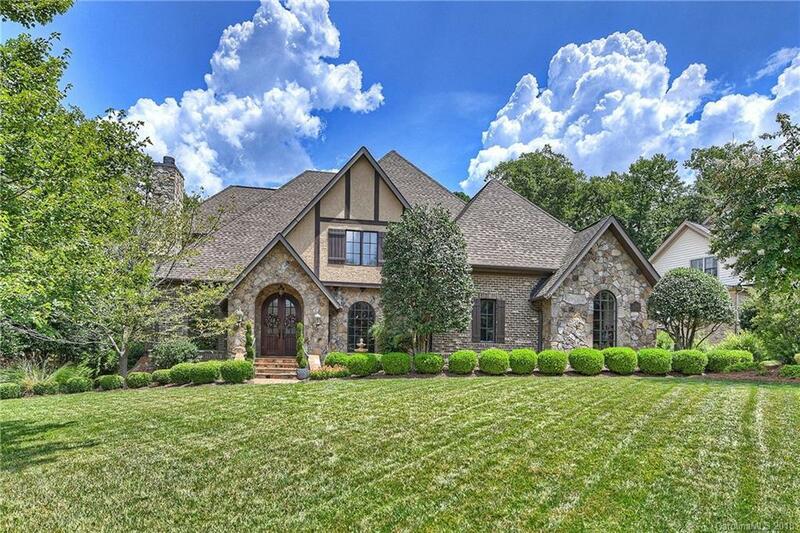 Stunning home in Springfield Golf Community. Built by Arcadia Homes this custom home features incredible attention to detail. Open floor plan ~ with grand foyer opening to executive office, formal dining room, great room with fireplace and built-ins that opens onto screened porch. Great room is open to gourmet kitchen. Kitchen is appointed with high end appliances, custom crafted cabinets and opens to breakfast room. Large master ensuite on main level is perfect retreat for the end of the day or relaxing mornings. Screened-in porch overlooks private fenced rear yard. The patio features stone built fireplace for cool evenings. Second floor includes: 3 bedroom suites with 3 full baths, bonus room and second office. Native Charlottean. Graduate of Myers Park High School 1975, Graduate of Wingate College 1977 with an Associate in Business. Graduate of Appalachian State University 1979 BS in Business Administration with concentration in Real Estate and Insurance. Broker/Realtor licensed in North and South Carolina. Market Area - The Greater Charlotte area including Lake Norman, Huntersville, Lake Wylie, Matthews and Union County. Also specialize in Investment Property in the North Carolina mountains and along the coast of both North and South Carolina. It is such a privilege to have the opportunity to share Charlotte with people. I put myself in a client/customer's shoes and would want nothing less than the service that I would expect. You will not find another realtor that will care for your needs like I will care for you !! I guarantee!! Personal Information : Celebrating 38 Years of Marriage. Three Grown Children. Enjoy spending time at sporting events, travel, ministries at our church, restoration of cars and detailing and landscaping. I would welcome a call or email from you and would consider it a privilege to be of service! real estate needs, I am just a call away!